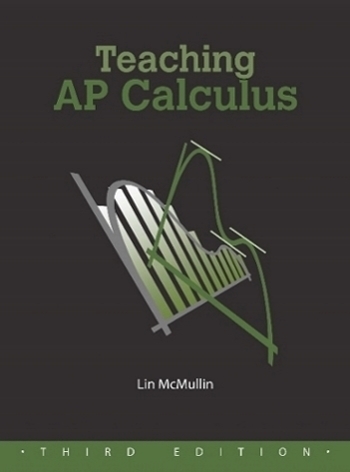 Part of the purpose of reviewing for the AP calculus exams is to refresh your students’ memory on all the great things you’ve taught them during the rear. The other purpose is to inform them about the format of the exam, the style of the questions, the way they should present their answer and how the exam is graded and scored. Using AP questions all year is a good way to accomplish some of this. Look through the released multiple-choice exam and pick questions related to whatever you are doing at the moment. Free-response questions are a little trickier since the parts of the questions come from different units. These may be adapted or used in part. At the end of the year I suggest you review the free-response questions by type – table questions, differential equations, area/volume, rate/accumulation, graph, etc. That is, plan to spend a few days doing a selection of questions of one type so that student can see how the way that type question can be used to test a variety of topics. Then go onto the next type. Many teachers keep a collection of past free-response questions filed by type rather than year. This makes it easy to study them by type. In the next few posts I will discuss each type in turn and give suggestions about what to look for and how to approach the question. Plan to give a simulated exam. Each year the College Board makes a full exam available. The exams for 1998, 2003, 2008 are available at AP Central and the 2012 and the 2013 exams are available through your audit website. If possible find a time when your students can take the exam in 3.25 hours. Teachers often do this on a weekend. This will give your students a feel for what it is like to work calculus problems under test conditions. If you cannot get 3.25 hours to do this give the sections in class using the prescribed time. Some teachers schedule several simulated exam. Of course you need to correct them and go over the most common mistakes. There are 108 points available on the exam; each half is worth the same – 54 points. The number of points required for each score is set after the exams are graded. for a 2 – 28 points. for a 2 – 34 points. The actual numbers are not what is important. What is important is that students can omit or get wrong a large number of questions and still get a good score. Students may not be used to this (since they skip or get wrong so few questions on your tests). They should not panic or feel they are doing poorly if they miss a number of questions. If they understand and accept this in advance they will calm down and do better on the exams. Help them understand they should gather as many points as they can, and not be too concerned if the cannot get them all. Doing only the first 2 parts of a free-response question will probably put them at the mean for that question. Remind them not to spend time on something that’s not working out, or that they don’t feel they know how to do. “The AP Calculus Exam: How, not only to Survive, but to Prevail…” – Advice for students on the format of the exam and do’s and don’ts for the exam. Print this and share it with your students. Calculator Skills – share this information with your students, if you have not already done so. There are only about 12 -15 points on the entire exam which require a calculator. A calculator alone will not get anyone a 5 (or even a 2). Nevertheless, the points are there and usually pretty easy to earn. The real reason calculators and other technology are so important is that when used throughout the year, they help students better understand the calculus. February 25, 2013 in AP Calculus Exams, Reviewing. Tags: AP Exam Review, Mar.